Eating a daily plant-based diet certainly has its benefits. Vegans or vegetarians are more likely to have healthy cholesterol levels and blood pressure. Believe it or not, Mexican food is in no way forbidden fruit for those two groups. Here are some recipes that cater to them. Sort and rinse the lentils. Place them in a medium saucepan and cover with the three cups of water. Bring to a boil, then reduce heat to low and cover. Cook until done, about twenty minutes. You just want them to be tender, not mushy. Meanwhile, remove the core from the tomatoes. Place the tomatoes in a blender and puree. It should be just shy of two cups of liquid. Set aside. While the lentils cook, this is a good time to chop and prep all the veggies. When the lentils are done season with a pinch of salt, drain and set aside. In a large deep sided skillet heat the oil over medium heat. Once hot add the onion and saute until soft, about five minutes. Add the jalapeno and garlic. Stir and cook for one minute. Add the cooked lentils and stir everything together. Add the cumin, salt, and pepper. Stir to throughly mix together. Pour in the reserved tomatoes puree. Stir together. Add the diced potatoes and carrot. Stir. Bring to boil, reduce heat to a low simmer and cover. Cook until the potatoes are nice and tender, about fifteen to twenty minutes. Stir a few times during the cooking time. Garnish with chopped cilantro and a squeeze of lime, if using. Lightly grease a large rectangular baking dish (at least 8×12 inches). Set aside. Add the chopped sweet potato into a medium pot of water and bring to a boil. Reduce heat and simmer for nine to fifteen minutes, uncovered, until fork tender. Drain and set aside. You can also steam the potatoes until tender, instead of boiling. In a large skillet, stir together the oil, onion, and garlic and sauté over medium heat for around three to five minutes until the onion softens. Season with a pinch of salt and pepper. Add the chopped roasted peppers, sun-dried tomatoes, cooked/drained sweet potato, spinach, and black beans. Cook for three to five minutes over medium-high heat, until the spinach is wilted. Stir in 1/4 cup plus two tablespoons of homemade enchilada sauce, followed by the lime juice, chili powder, cumin, and salt. Adjust seasonings to taste, if desired. It would be remiss not to include at least one dessert. In a large bowl, sift flour, cocoa, cayenne, cinnamon, baking soda and salt. In a separate medium bowl, whisk canola oil, maple syrup, vanilla, milk, and sugar until fully incorporated. Slowly add the dry ingredients to the wet ones, mixing continuously. The batter will be stiff. Using the palm of your hands, roll about three tablespoons worth of batter into a small ball. Shape into pancake-like disks and cover one side with the sugar-cinnamon dusting. On a sheet of parchment paper, place each disk about 1 inch apart, sugar side up. Bake for about 12 minutes. Makes fiftteen to twenty cookies, depending how big you want them. The tortilla remains a much-beloved food and the number of creative variations on how to serve it is practically endless. The one we’ll be taking a closer look at today offers just the right mix of veggies, mushrooms, spinach, and other ingredients to create a balanced meal that won’t take long to prepare and tastes great. Let’s begin with the ingredients. Use a large nonstick skillet to heat the oil using medium-high heat. Upon simmering, add the onion and mushrooms and then cook for about six minutes, making sure to stir occasionally. Once the mushrooms have begun to brown and the onion has become soft, stir the garlic in and cook it for about thirty seconds. Add the pepper, salt, paprika, and vinegar and then the spinach, cooking for three minutes while stirring until these ingredients have begun to wilt. Move the mixture over to a bowl and cover it up so it stays warm. Make sure the skillet is clean before proceeding. Using one half of the tortilla, spread the goat cheese over each one before distributing the mushroom mixture you set aside over the cheese. Fold the tortilla in half over the mixture to create a half-moon shape. Use medium-high heat to warm the skillet after brushing it with some oil. 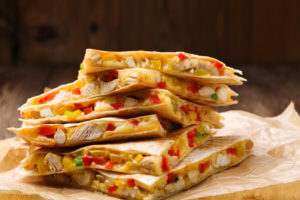 Using a pair of quesadillas at a time, cook each side for a minute or two until they become golden-brown and the cheese has begun to melt. Cut the quesadillas into wedges and you’re ready to serve. 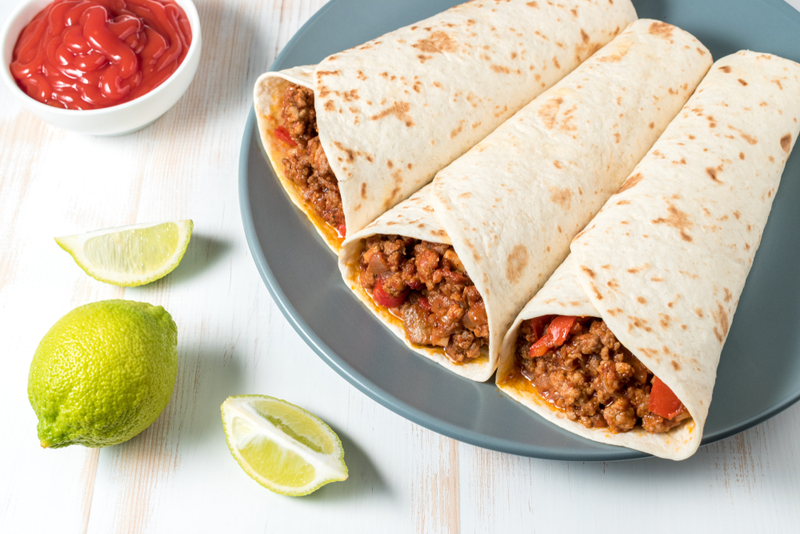 There is no doubt that when you hear the words “Mexican food”, the trifecta of images of tacos, burritos, and quesadillas come to mind. But it may surprise many that these are not exactly the best representation of the cuisine. Some are also a result of American adoption and interpretation. Pico de gallo, for example, is seemingly a staple of the cuisine, but is actually uncommon in Mexico. The ubiquitous corn chips seen as an appetizer in America is far from popular south of the border. Ceviche is another example of a food believed to hail from our neighbors south of the border, when in reality it originated in South America with contributions from Costa Rica, Peru, Ecuador, and Colombia. 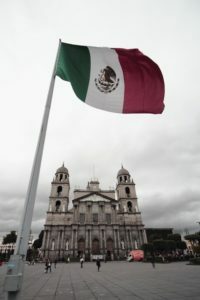 The common choice of protein for Mexican food in the United States may be between beef and chicken, but the latter isn’t even an option in its homeland. It is only used for stews, soups, and tamales and is considered an insult to consume it in the form of a taco. Finally, to clear one last perception, Mexican food is not cheap. This may have been fueled and reinforced with the widespread presence of fast food chains. However, due to the need for an assortment of fresh ingredients to make the best possible food, it is hardly a cheap meal in Mexico. How does a roast beef and avocado wrap sound? This meal is quick to prepare and you won’t need to concern yourself with using an oven to do it! Before we begin, there are a couple of things you should know in regards to preparing it. For one, you may wish to use deli roast beef that is low sodium. As for the lettuce, you’re free to use any kind you like. You may also wish to accompany the wraps with a red bean salad. Let’s begin with the ingredients you’ll need to make a pair of servings. Use a work surface to spread out the tortillas and then spray them with some olive oil spray. Evenly divide the roast beef among the tortillas. Peel, seed, and cube the avocado and then spoon it over the roast beef. Make sure to thoroughly drain the salsa prior to adding it. Follow by placing in the lettuce. Roll the wraps up and then cut them in half on the diagonal. For today’s quesadilla recipe, we’re talking about how to prepare them using a sheet pan. 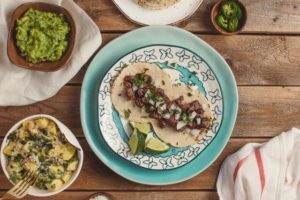 This simple recipe will take you mere seconds and the quesadillas will be ready to serve in just minutes. Let’s begin. Begin by preheating your oven to 425°. Pour the olive oil into a large skillet, place it over medium heat and then add the onion and bell peppers until it becomes soft, the process should take about five minutes. Remove these ingredients from the skillet and put them aside for now. Follow by adding the ground beef to the skillet and cook, making sure to break up the meat using a wooden spoon. Continue to cook until all of the pink is gone which again, should take five minutes. After you drain the fat, stir in the paprika, cumin, and chili powder and use the pepper and salt for seasoning. Place six of the tortillas on a half sheet close to the edges of the pan so that roughly half of the tortilla is hanging over the side. Grab another tortilla and place it in the center so that the pan is completely covered and then top it with the mixture you made and set aside earlier as well as the green onions and the cheeses. Use another tortilla and place it in the center so that all of the fillings are covered then fold each of the tortillas near the center. Use a second baking sheet and place it on top of the tortillas and then bake until the tortilla become crispy, it should take about twenty minutes. Remove the baking sheet from the top and resume baking for about fifteen additional minutes until the tortillas become golden. Slice the tortillas/quesadillas into rectangles and serve with the pico de gallo and sour cream. 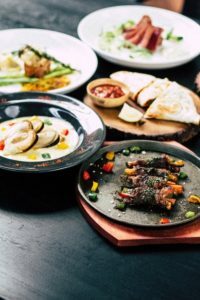 With another Cinco de Mayo upon us, we thought we would share a comprehensive guide on where to eat, drink, and celebrate in both Miami-Dade and Broward County. This highly anticipated opening will be offering complimentary chips and salsa and guacamole lasting from noon to 8 PM. This typically low-key place likely won’t be once its live mariachi band starts to perform. Tequila shots and free giveaways start at 11:30 AM. The newest upscale mall will have a block party from 5 to 11 PM featuring entertainers and live mural paintings. For the fourth year in a row, this trendy seafood/Mexican place will host a block party lasting from 3 PM to midnight. They will have live music, $5 margaritas and tacos, and if that’s not enough, a chihuahua dog race! The third annual bar crawl of Brickell takes partygoers through the neighborhood starting at 6 PM, and you can get five free drinks at Blackbird, American Social, and Fado’s. For a full list and more information, https://miami.eater.com/maps/cinco-de-mayo-party-event-miami-guide. Fajitas never get old, and when they involve chicken, you know you’re in for a classic treat. Let’s check out the ingredients you’ll need to make them. Begin by combining the ground cumin, lime juice, pepper, chili powder, and garlic in a medium bowl. Add the strips of chicken, toss the ingredients around, and then place it aside for about ten minutes, making sure to stir occasionally. Use a large nonstick saute pan to heat the olive oil over medium-high heat. Add the jalapeño, bell peppers, and onion and then cook, again stirring every once in a while. This step should take about four minutes or until the peppers become crisp-tender. Follow by adding the mixture of chicken along with the lime juice marinade, once again stirring occasionally as it cooks for about five minutes or until the chicken has been properly cooked through and the vegetables are soft. Place the tortillas between a pair of paper towels and then microwave them on high for at least fifteen seconds or until they become warm and moist. 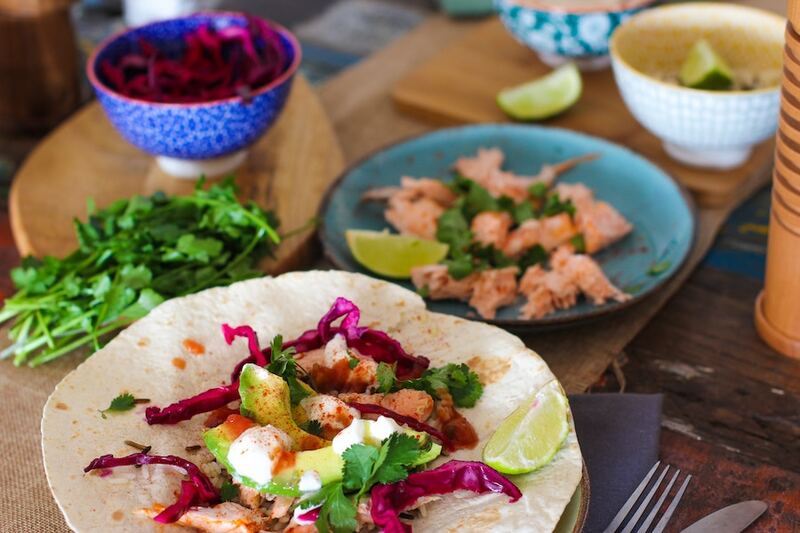 Once you’re ready to serve, place the tortillas on a plate, use a spoonful of the chicken and veggie mix into a bowl, and you’re ready to make your fajita.